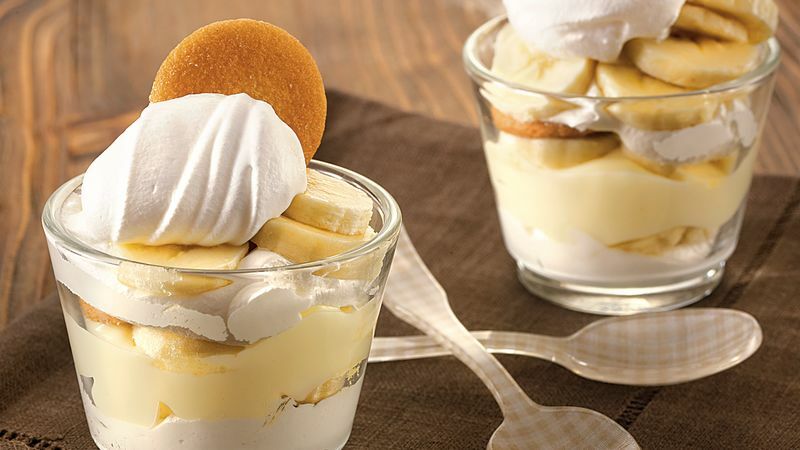 In each of 4 (5-oz) shot glasses or small bowls, layer 1 tablespoon whipped topping, one-eighth of the banana slices, 1 tablespoon pudding and 1 cookie. Repeat layers. Top each with dollop of remaining whipped topping. For a fun presentation, serve this super easy dessert in wine or martini glasses.